Anyone who has watched Rose’s presentation on flour for the NYU Experimental Cuisine Collaborative may have noticed a point during the event where Rose explained to Woody that some kate flour would be coming his way from the UK. Well, it arrived … and from there we started an exciting series of cross-Atlantic flour experiments. 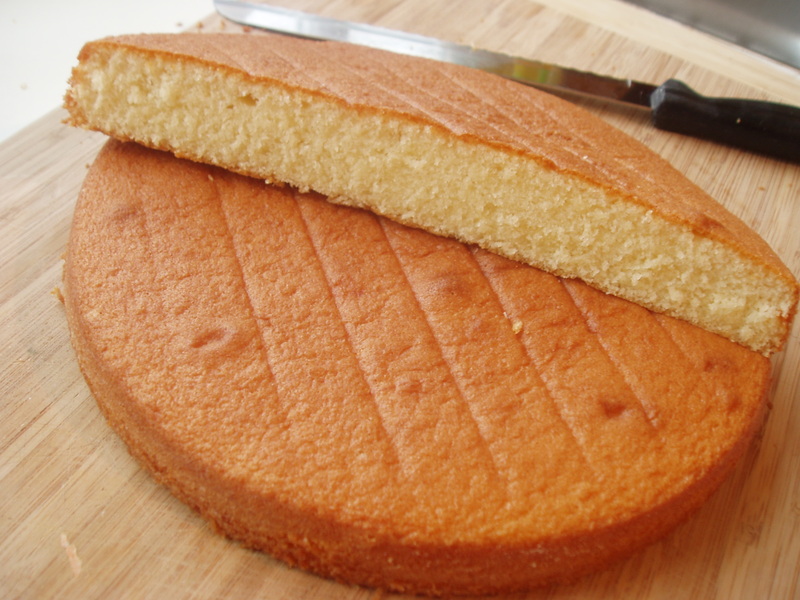 A few weeks ago, Woody made 2 yellow butter cakes – one with bleached cake flour and the second with kate flour. On the same day, I also made 2 yellow butter cakes – one with kate flour from the same batch as the flour I mailed to Woody and the second with a freshly-made batch of kate flour. My cakes were pretty much the same as each other, which showed that kate flour stores … and, more importantly in terms of the testing, that Woody could be fairly sure that the cake he was making was representative of cakes made with kate flour in the UK. From Woody’s cakes therefore, we were able to directly compare the baking performance of side-by-side examples of cake and kate flour. As a result of our cross-Atlantic flour experiments, I also had an opportunity to view and directly compare the batters produced by the two flours. Just as the finished crumb of the cake was coarser when using kate flour, so the batter appeared to be grainier and less gloopy than that of cake flour. 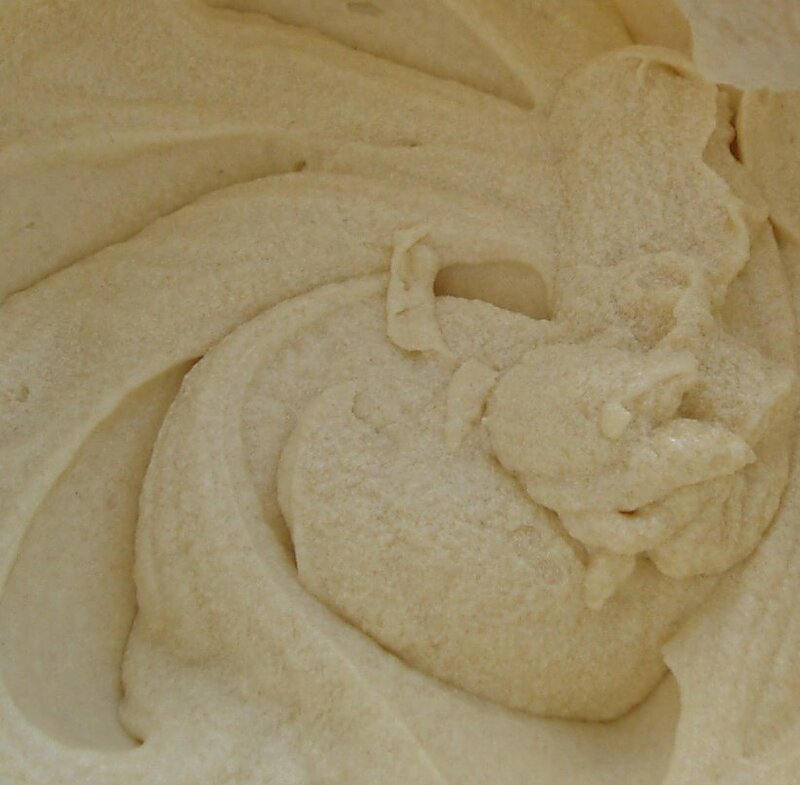 Both chlorination and heat-treatment of flour cause hydrophobicity of starch granules, which improves their oil binding ability and increases the stability of air bubbles in cake batter. It appears that chlorination induces this hydrophobicity through chemical changes, and heat-treatment through conformational changes to proteins on the surface of the starch granules (see this article by Masaharu Seguchi). However, it is likely that starch may be damaged during the microwave treatment of flour. I discovered from the Food Industries Manual that cake flours need to be low in starch damage. This is because damaged starch granules have a greater affinity for water and can absorb more than twice their weight. 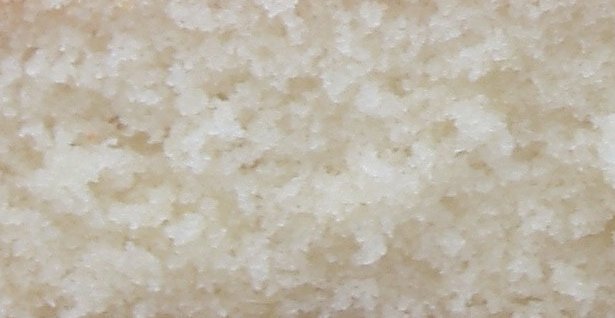 Consequently, these starch granules have a lower capacity to bind water in a cake batter, which results in a lower viscosity. 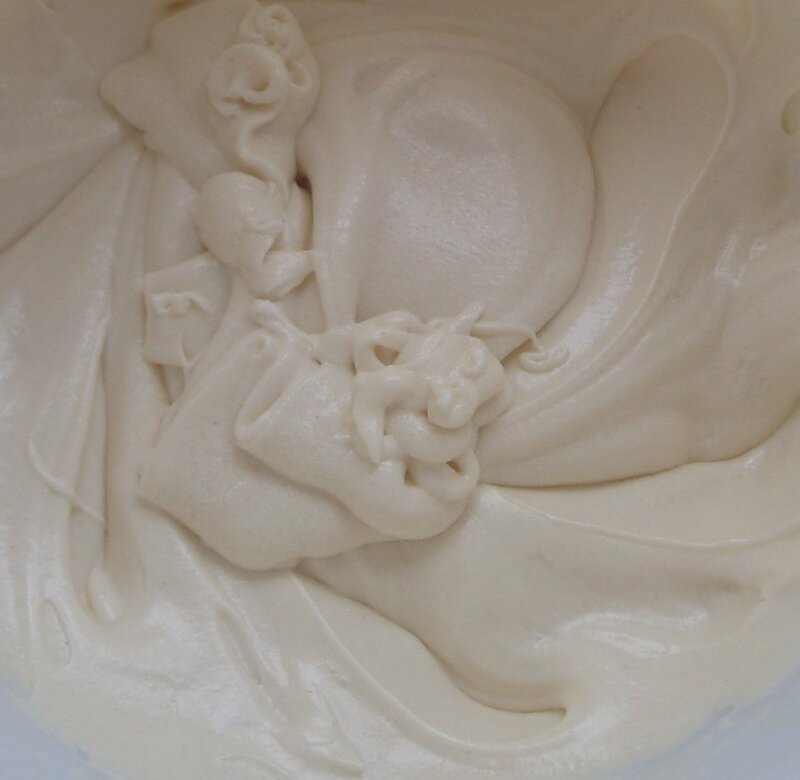 The viscosity of batter is extremely important in defining the overall volume and texture of a cake. Heat from convection moves the batter and this flow has an effect on how the air bubbles incorporated in the batter disperse during baking. In batters with a high viscosity, the rate of gas diffusion is slowed so that air bubbles are encapsulated and retained. When hydrophobic starch granules are bound to the surface of these air bubbles through either chlorination or heat treatment, the bubbles are stabilized and expand uniformly. Cakes therefore have a high volume and fine, regular crumb grain. In batters with a low viscosity, the convection flow is increased. Air bubbles rise quickly to the surface where they escape from the batter and are lost. Cakes therefore have a low volume and closed, irregular crumb grain. Significantly, I also read in the Physico-chemical Aspects of Food Processing that it is the increased viscosity of batter made with treated flour that enables a lower amount of flour to be used in relation to sugar without risk of the cake collapsing. In other words, a higher viscosity is crucial to the success of high-ratio recipes. 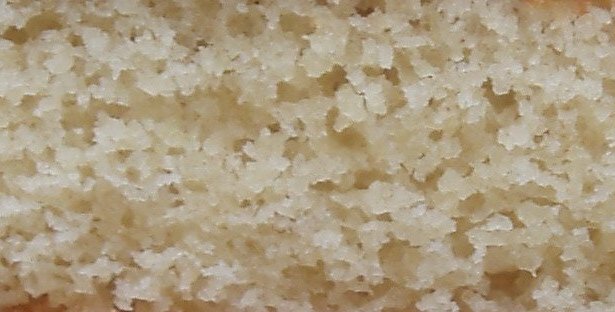 A reduction in flour is desirable because it decreases the starch content level of the cake and causes the crumb to have a softer texture than the crumb of a cake with a higher starch content. It follows that any damage to starch during the microwave treatment of flour leads to a lowering in the viscosity of a cake batter made with this flour. 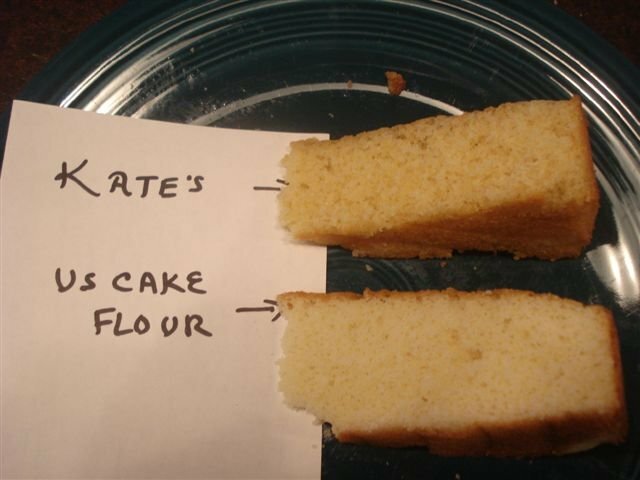 Could this explain the differences I observed in the batters of cake and kate flour? Armed with a new set of key words, I headed once again for Google. It turns out that in 1995, a group of cereal chemists from Kansas showed that the addition of xanthan gum to heat-treated flour increased the viscosity of batter and gave rise to an improvement in the volume and texture of cakes made with this flour. This is supported by findings two years earlier suggesting that the insensitivity of xanthan gum to temperature allowed batters to remain highly viscous for longer during baking. As a result, the batter could expand more before the structure of the cake set. 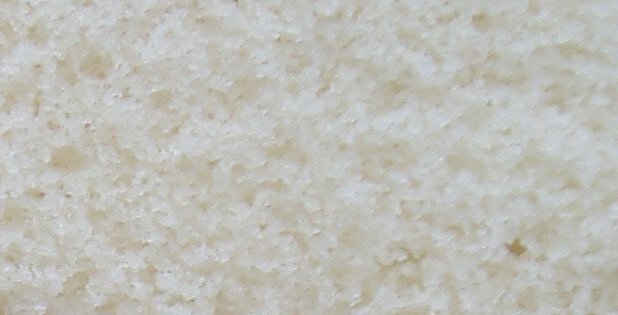 The addition of a non-flour fiber to the high ratio baking composition of the present invention is essential for obtaining baked volume, improved organoleptic properties and uniform cell structure. The inventors used oat fibre. However, it is striking that xanthan gum is also a fibre source. 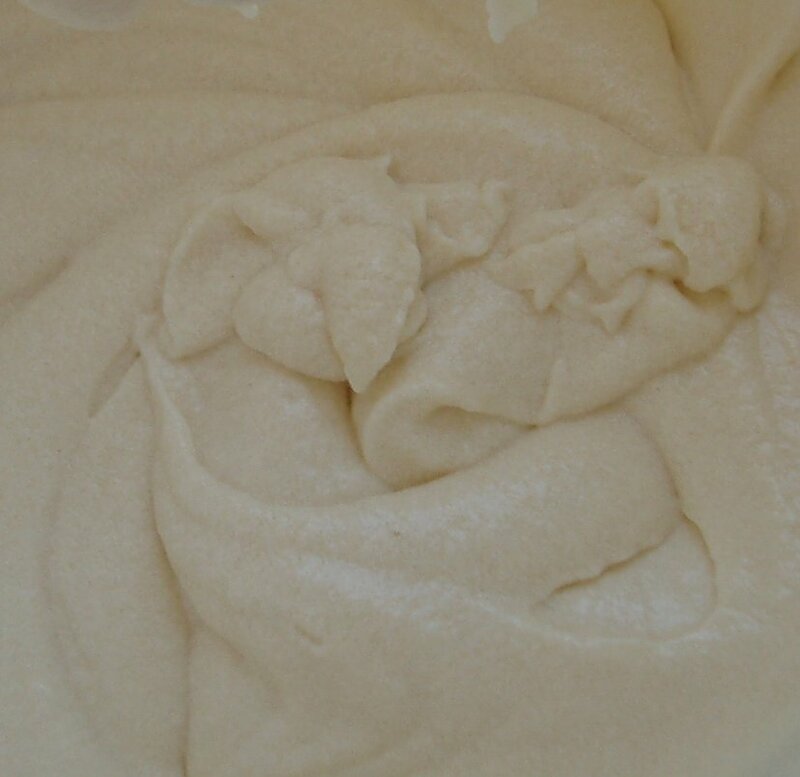 Xanthan gum is widely used as a substitute for gluten in gluten-free baking. I found a bottle of it in the ‘Free-From’ aisle of my local Tesco supermarket. Apparently, it is effective in relatively small amounts. The Kansas chemists recommended adding 0.12% of the weight of the batter in xanthan gum to the dry ingredients before mixing. After the heating is completed, the soft flour may be tempered to replace the moisture in the soft flour. Tempering is a process where the soft flour is spread out in a thin layer in a cabinet with humidity control and the flour absorbs moisture from the humidified air until the flour reaches the equilibrium moisture level. Okay … I could do that! This is what happened. I microwaved the flour in the usual way, being careful not to increase the temperature so quickly that the flour browned. In practice, this meant that I microwaved the flour in short bursts of no more than 30 seconds at a time. I then spread it out on a baking tray and popped it on the middle shelf in the (cold) oven. I boiled the kettle and filled a second baking tray on the bottom shelf with boiling water. I shut the oven door and waited while the water cooled. I then emptied the water-tray and refilled it a second time with boiling water. Door shut – flour in steam bath. When the flour had cooled, I sieved it. I used 4 1/4 oz of this flour + 1 oz cornflour + 1/4 tsp xanthan gum (kate x flour!) as a replacement for cake flour to make a 9″ x 1 1/2″ yellow cake. … suggest that we are heading in the right direction. Is xanathan gum the missing x-factor? Very interesting if not confusing to someone like me without a degree in science!!! You have been really busy, Kate, I can see now why you haven’t been posting so often. The differences in the crumb of the kate flour and the kate x flour are obvious . I’m not sure I would go so far to achieve the equivalent of cake flour when we can just go to the shop to buy perfectly good flour though to make quite good cakes. SORRY! I’m sure you will be praised by Rose for all this work and you deserve it. Dead impressive, Kate! That is so interesting! What visible results you had in the kate x flour. I can just about follow your science explanation and it makes sense. Again, this is a great step forward. I applaud your persistent curiosity to get it perfect! I have to confess to being a bit obsessive (my husband will second that 😉 )! When you think about what the flour goes through (and what is potentially added to the flour) during chlorination, it’s probably not so surprising that there isn’t a completely straightforward alternative. Still, if flour companies like Carrs would release their heat-treated cake flours to the general public, it would be easier yet! Hi Kate, i really have to commend you on your dedication to flour! It’s quite exciting, and i can’t wait to hear the final word on ‘Kate X Flour’! Do you have any intentions of posting instructions, similar to the ‘Kate Flour’ instructions? Thank you for enriching the baking lives of all those without access to bleached or heat treated flour! This is amazing work you are doing. I second Lauren on hoping that you might give us instructions for how to recreate this new Kate X flour. I’ll need to have a look for the Xanthum Gum in Tesco….don’t you just wish they’d sell cake flour over here! Hello Janice, I’ve just seen a post on RLB’s website from someone on London saying that there is a store on Sloane St. in London selling American cake flour! I wouldn’t have thought it would have been allowed, it being a bleached flour, but that is what I read. Worth investigating, perhaps? Hello Kate, I expect you keep up to date with Rose’s forum, but just in case you’ve missed it, there’s a very interesting dialogue going on at the moment under the heading “Bleached Flour, Bad?”. Have you seen it, I am sure you will find it most interesting! You are becoming quite famous as a flour specialist, your name is cropping up in lots of threads on the site. There is another Cate from Australia who is very interested in your experiments also, you two should get together! Oh gosh – me a flour specialist 😯 ! Thanks for the signpost, Jeannette – I haven’t been anywhere online for the last month or so, so I haven’t seen the discussion yet. I’ll pop over there right now 🙂 .